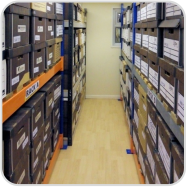 We offer a variety of storage unit sizes for all your document needs. The unit you choose is up to you. It depends on how many documents you are storing, and the size of the files which can be variable. You need to consider how often you may need to recover a file and how quickly you need to recover it. This will determine whether the files are stored on more easily accessible shelves, or solid if file recovery is only rarely required. The mini unit which takes up to 20 standard archive file boxes. The standard unit which takes up to 70 boxes. 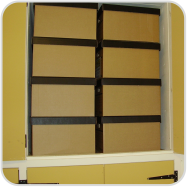 In addition we can provide a bespoke storage unit of any size to meet your requirements. On site racked and storage. 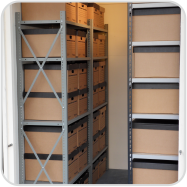 For prices on both types of document storage required for storage.